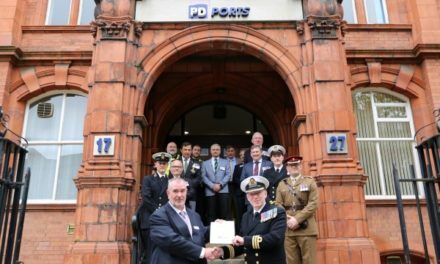 PD Ports, one of the UK’s major port groups, has signed a multi-million pound, five-year contract with British Gypsum, creating new jobs and cementing Teesport’s growing reputation as the premier port for bulk handling on the country’s east coast. 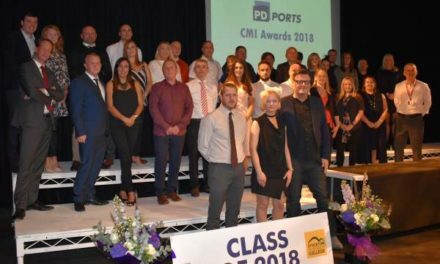 Part of the global Saint-Gobain group, British Gypsum, which is the UK’s leading manufacturer in plaster and plasterboard products for the construction industry, will bring shipments from Europe directly into Teesport every two weeks where it will be stored in a new bulks warehousing facility. The contract will create four new jobs at the port to handle British Gypsum’s UK gypsum rock imports, a vital component in the manufacturing process, destined for the firm’s Yorkshire and Cumbrian based facilities. Through Teesport’s dedicated rail terminal directly linked to the bulks facility, trains will run six days a week, providing British Gypsum with a flexible, cost effective and environmentally efficient solution for its UK imports. Frans Calje, PD Ports’ CEO, commented: “This announcement is great news, not just for Teesport but for the wider Tees Valley region. 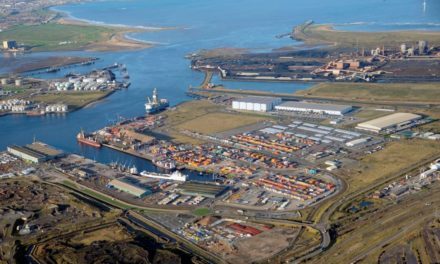 It signifies the high level of confidence the UK bulks and aggregates industry has in Teesport to deliver a service unrivalled by others ports on the east coast. “As a deep sea port and with the capability to handle larger vessels with direct rail links from port side to customer we are able to provide British Gypsum with the best service possible. “As part of our long-term growth strategy we have seen in excess of £50M invested in the last few years to develop and expand our platform to support the increased demand to serve the UK’s bulks and aggregates market from Teesport.